The 168 horsepower 2.0-liter inline four-cylinder engine uses dual injection and dual variable valve timing. A six-speed manual transmission with intelligent-shift is standard. I have not had the opportunity to test the manual, yet. My Blue Flame XSE tester was equipped with the dynamic shift CVT, which features a “physical-launch” first gear and paddle shifters. It feels more like a conventional automatic, with simulated gear changes – as you’ll see in the 0-60 tests at the tail of this review. 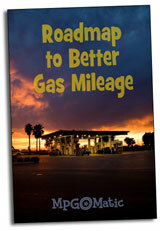 The engine is willing, the car handles well, and the standard safety features seal the deal. Apple CarPlay and Amazon Alexa support are icing on the cake. This one’s a winner. The Corolla XSE’s Toyota Safety Sense-P (TSS-P) package includes a Pre-Collision System with Pedestrian Detection, Lane Departure Alert with Steering Assist, Automatic High Beams, and Full-Speed Dynamic Radar Cruise Control. Other manufacturers charge big bucks for these features. The EPA lists two estimates for the CVT Corolla Hatch: 32 city / 42 highway / 36 combined MPG and 30 city / 38 highway / 33 combined MPG. The six-speed manual carries a lower rating of 28 city / 37 highway / 31 combined MPG. I had no problem beating those numbers. A week of testing in varied conditions – as shown by our video test drive – indicate that the CVT Corolla is conservatively rated. I’m aiming to get a manual-equipped Corolla onto the test schedule in the coming months. I’ll lay it on the line. I’ve never seriously thought about owning a Toyota Corolla … until now. 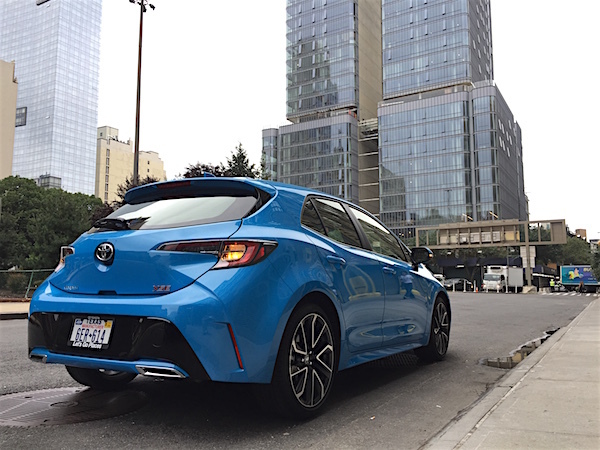 The five-door 2019 Corolla Hatchback is a solid little car and quite the looker. It’s fun to drive, capable, and thrifty. The departure of the Ford Focus, is a fortunate turn of events, for Toyota. Really a Nice car. Thanks for the review. Nice Aerodynamic for the car. Really fantastic car released by Toyota.